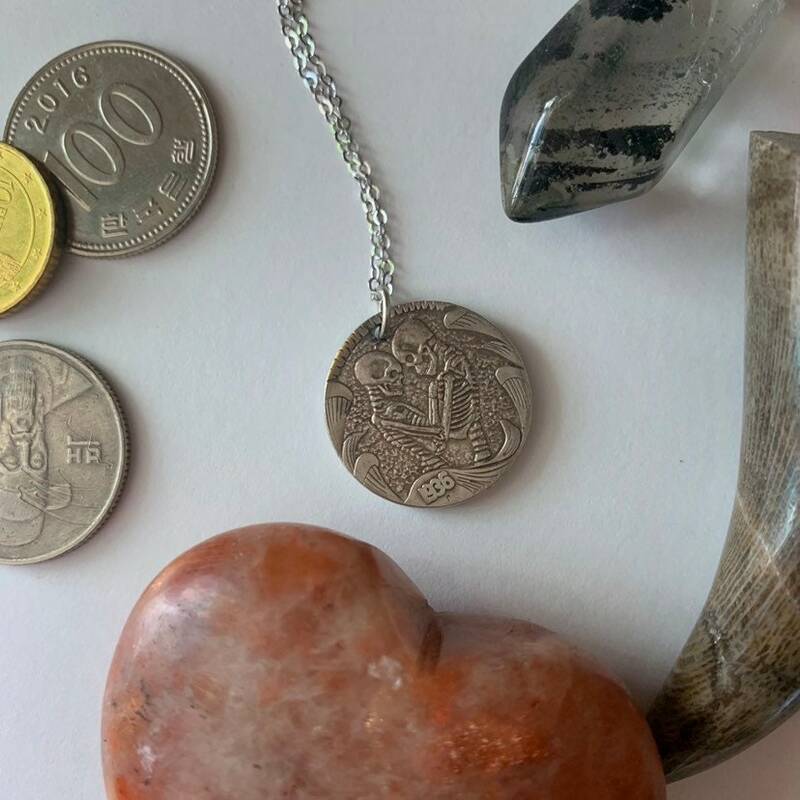 Beautifully crafted with a laser, hobo coins are unique and uncommon. Turned into a necklace with a sterling silver jump ring. 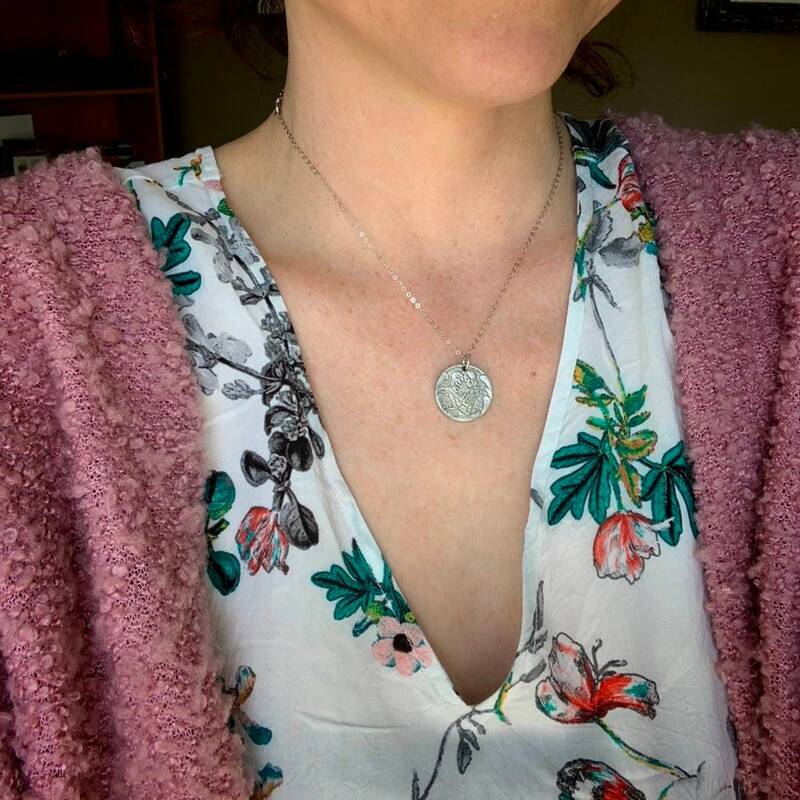 This exclusive necklace matches our Eternal Connection made-to-order-ring. 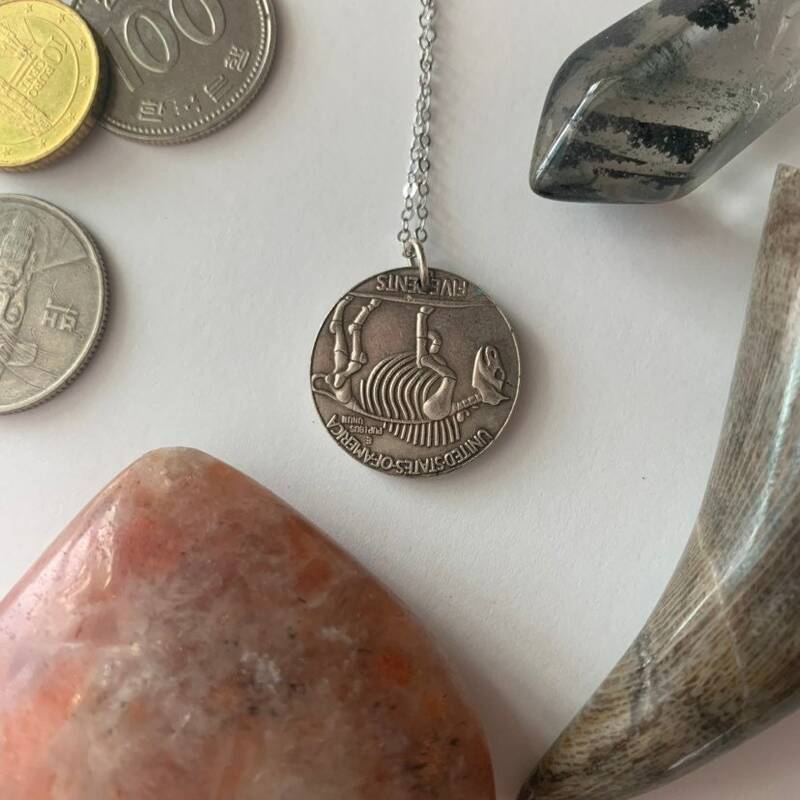 Working with coins gives me such a personal satisfaction as I can re-purpose and retell the stories, but also because my Grandpa collected coins years ago and it makes me think of him.